No one knows better than Sally Quinn how to make parties work. She has thrown some of the most talked-about parties and has attended most of the others. Here, she turns her trademark sharp wit on the Washington social scene and offers an irreverent look at what goes on at the parties you read about in the columns. From seating debacles to real-life scandals, she reveals her firsthand experiences as a member of the Washington power elite to illustrate how to entertain for any occasion. The Party provides a checklist of ideas to help make the important decisions, from the invitations to the setting to the food and entertainment and, above all, the guests. 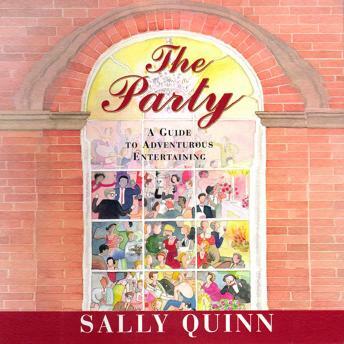 Along the way, Quinn shares her own often hilarious anecdotes from a variety of different parties—from formal, elaborate dinners to impromptu get-togethers—which will strike a chord with anyone who has ever entertained.